This is our third and final special edition episode of Inside Sponsorship which focuses on Rugby Union. 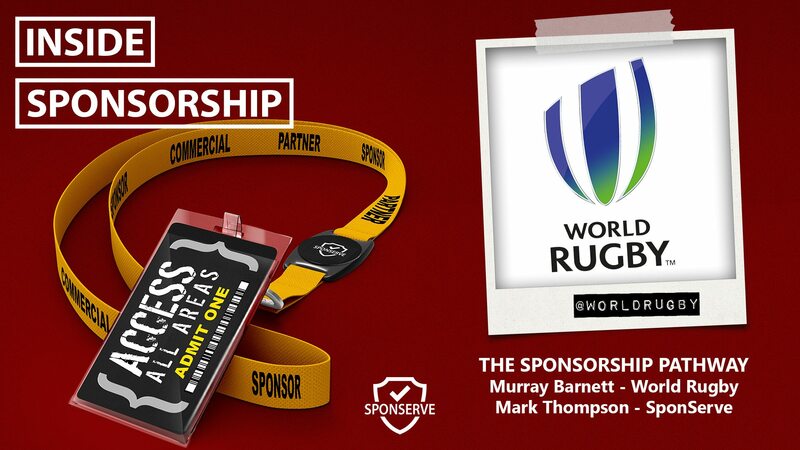 The topic our guests are discussing is “The Sponsorship Pathway – Are You Sponsorship Ready?” which was a panel discussion at the World Rugby Conference and Exhibition in London last month. In this episode, we sit down and chat with Murray Barnett, Head of Broadcast, Commercial & Marketing at World Rugby as well as Mark Thompson, SponServe MD, who chaired the panel. Murray Barnett is vastly experienced, having worked for more than 20 years in the global sports television and entertainment industries. Currently, Murray is responsible for Commercial, Marketing and Broadcast activities for the Rugby World Cup, Rugby World Cup Sevens, HSBC World Rugby Sevens Series and all World Rugby events. Murray was previously Vice President TV Sales & Head of International Syndication Sales with ESPN International and also held positions at the NBA and ISL. Also, Mark shares some really important brand side insights that were common themes from the panel discussion and which focus on what brands want to see from those seeking sponsorship from them.